BASED IN Calgary, Ronald Chui has witnessed firsthand how the plummeting price of oil has laid the city low over the past year. Cowtown, like most of Alberta, is dominated by energy, with all the associ­ated highs and lows that are intrinsic to that industry. Although his exposure to oil was non-existent until very recently, the fact that his home base is in Calgary means Chui’s business has become more personal. It’s been a consistent rise for Chui, who entered the industry a decade ago and steadily built his client base and assets under management. Developing a strong relation­ship with those who elect to walk into his office has been central to that success. That know-how certainly was evident when he chose to sell off his oil assets right before the energy crash devastated his home city. Given the economy’s growth south of the border, moving into US assets was a natural switch. Fast-forward to today: Oil has rallied somewhat, although it’s still way below a level Canadian producers would deem sustainable. That said, Chui has decided to reintroduce energy to his core portfolio, Global Core Plus. “In my portfolio, I have 5% oil. I will be looking to add a little more, but for me, the fundamentals are the same, so I will remain on the cautious side. We do have cash avail­able if we need to purchase more oil stocks. 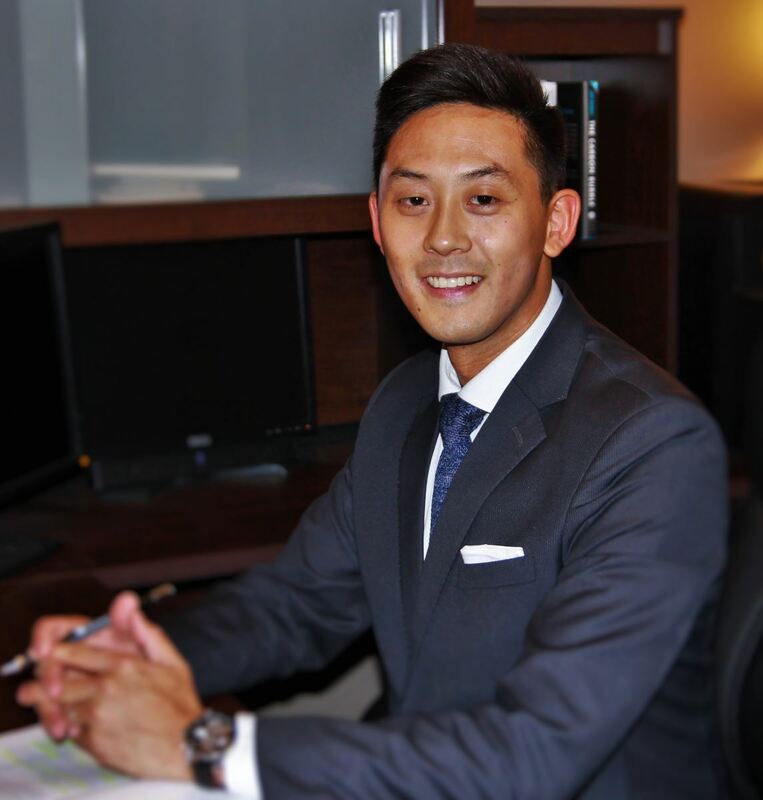 Wearing two hats for his team at Wood Gundy as an advisor and portfolio manager, Chui also likes condominium reserve funds as an investment in his home city. As a portfolio manager, his focus is on Global Core Plus, which is exclusively ETFs and is made up of Canadian, US and inter­national low-volatility assets, with specific sectors such as healthcare a key component. Self-avowedly conservative in his investing, Chui prefers to avoid picking specific stocks, focusing instead on sectors with a likelihood of strong returns. The loonie’s rally since February is another area with plenty of potential for returns, especially in today’s investment world where different investment vehicles like ETFs are available.